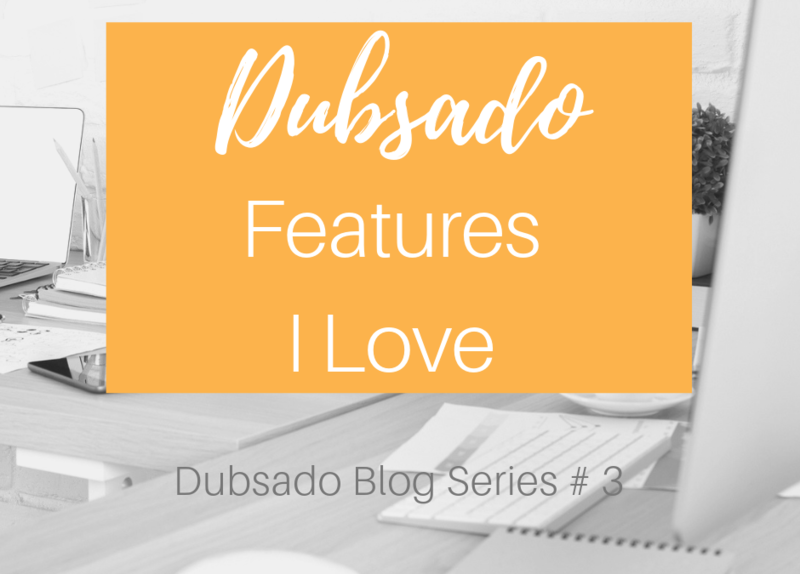 Part 3 of the Dubsado Series, is all about Dubsado features that I love! This is where I get gushy about how it has totally improved my customer service, and nailed my lead capture workflow. In Parts 1 and 2, I’ve demonstrated how to set up Dubsado, given a tour around the CRM, and how to save time with workflows. Today I’m sharing some of the aspects of Dubsado that mean I have less subscriptions, less moving parts, less tools to manage when I’m onboarding and taking care of my 1:1 clients – and it has been a transformation! I used to wing it – and use my memory, but once I had made too many mistakes – and kept making them – I decided it was time to get serious. These Dubsado features meant that it was actually really easy. Today’s video isn’t just a list, it’s a demonstration of all the top 7 Dubsado features that I love, so that you can see exactly what I mean, and how I use them. Just want the juicy info without watching the video? I can do that too! Here’s a short summary of my favourites. Email templates are the bomb. They are a total time saver! Whether it’s collecting testimonials, or new client intake forms, you can customise and set up any type of form you want – and it’s all kept in one place, and associated with your client or lead. Here’s how it looks for the client: I send them an email with a button to click with a proposal. They select the proposal they like, and a new tab opens with the contract, they electronically sign the contract, and a new tab opens and the invoice pops up ready for them to pay with their credit card. It’s gorgeous! Plus, if I’m super organised, I have a workflow that then sends them the link to book the first appointment – all without me needing to do anything! Pure gold. Yes – I can send invoices using Dubsado, I can set up recurring invoices, or even invoices that request a percentage of the full amount. Totally awesome. Well, you can check out Part 2: all about workflows for this one! One of the most powerful changes I’ve made to help me manage my clients, is to batch it! I do my client management and lead management every Monday. This means that I’m up to date with checking in (and yes, I have templates), I know where my leads are, who’s due to pay, and following up or creating invoicing – and I don’t need to think about it again until the next week. I can just show up for my sessions. Today Dubsado announced that their online scheduler is now live! Another reason to love it! This means I can book in and set up workflows for all of my clients IN ONE PLACE – OMG – this is fab news!